Taking care of chickens, just like taking care of any living creature, caring for a chicken – or a brood of chickens – isn’t the simplest of tasks. You will need to devote a huge chunk of your time to taking care of your birds, so it can become a problem if you’re not ready to commit to your birds. But with enough time and exposure to the daily tasks of caring for chickens, it can become something that’s easy and routine. Now, you probably aren’t raising your chickens for profit, although the idea may have occurred to you somewhere along the line. But if you’re new to bringing up your chickens, it’s a sure bet that you won’t have a very good idea of how to take care of them. But then again, that’s what you’re here for. Read on, and find out how you can best take care of your birds. Let’s start with how you should bring up your chicks. Taking care of chicks is a lot more taxing than caring for chickens that are fully grown. That’s because baby chicks aren’t capable of taking care of themselves yet. They’re like Lemmings that keep on walking until they hit a wall. Then they turn and walk off in another direction. The best way to start taking care of your chicks is by finding them a place to stay. Don’t put them indoors – they emit a funky smell that you (or your family) won’t find pleasant at all. The best place to keep them is inside a box, or a similar box, with holes. We’ll call this the brooder. Line the brooder with absorbent material (anything but newspaper wood chips work well), and make sure that your water dish and feeder are solid materials that the chicks won’t be able to tip over easily, or poop on – although the latter’s rather hard to predict.The most important thing to remember when you care for chicks is that you have to keep them warm. They’ll probably stay in the brooder for four to five weeks, so you want to make sure they have an adequate source of warmth. A 250-watt bulb is usually more than enough for this function – just make sure that the chicks aren’t too warm. The difference between how you care for your chicks and how you care for chickens that are fully grown is like the sun and the moon. While you need to watch over chicks, you can actually leave your chickens alone for extended periods of time so long as you make sure they have adequate food and water. This should only be done during extreme circumstances, of course. But that about covers fifty percent of what you need to do to watch over your chickens – make sure that they have enough food to eat (especially important if you have a lot of chickens! ), and make sure that their water trough has a fresh supply. Make sure that you spend enough time with your chickens in order to make sure that they don’t look sick or unhappy. Once you see a forlorn chicken, you need to take him to the vet immediately. 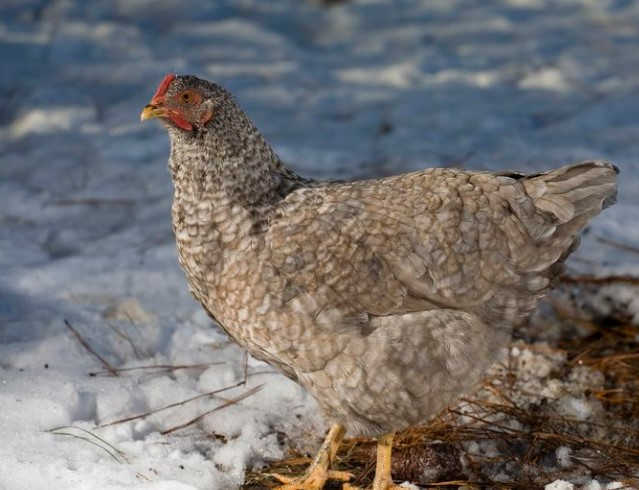 To properly care for chickens, you need to clean out their coop every month, although if you can take care of the chicken poop on a daily basis, this can make things easier for you; you won’t have to scrub the coop down completely every six months.